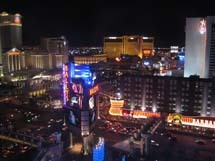 Various selection of pictures from 2005 in Vision Expo- Las Vegas, NV. Click on pictures for medium view. Right-click/save to save and/or view different resolutions. 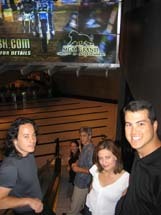 Bong, Mo, John, Yo, and Me decending into the MGM. View from our Bally's hotel room looking north-ish along the strip. WTF! 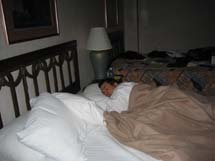 Another picture of me snoozing.